(January 28, 2019) Tapping Patti Austin to sing a song on the soundtrack to your movie is a good idea. Austin is a music legend who has been on stages since she was four. Austin can sing pop, R&B, jazz, jingles and for all I know, the telephone book (if she can find one). The Austin and James Ingram performance on the song “How Do You Keep the Music Playing,” earned an Academy Award nomination in 1983. So, it’s understandable that Austin performs the song “Hope Has Arrived” for the upcoming graphic novel and film “Spirit of the Pharaoh.” Austin is in top form on a song that can be heard in several versions, thanks to remixes by Disco Soul Gold mastermind Nigel Lowis. The one that caught my attention is one sporting the kind of smooth R&B that reintroduced Austin to a generation of music fans through her collaborations with her godfather, Quincy Jones in the 1980s. This lush version has Austin’s angelic sounding vocals being backed by a smooth mid-tempo funk bass line, horns, strings and keyboards. It’s got a good throwback feel. Check it out here. 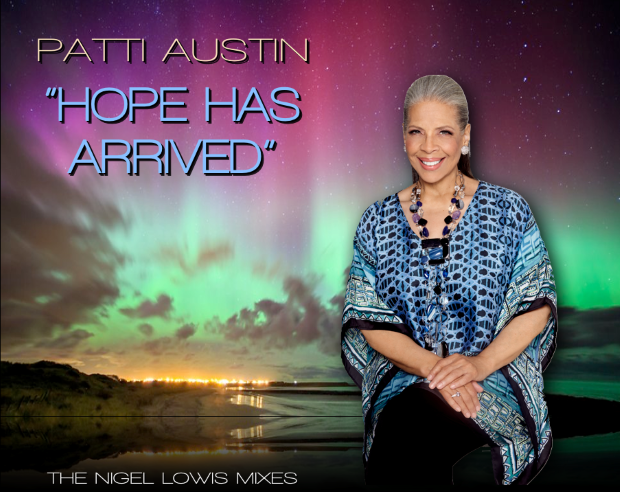 Patti Austin - "Hope Has Arrived"